Pedro Echevarria, C-SPAN - video on Russian influences on "fake news"
College curricular materials for developing & using critical thinking skills to judge the reliability and credibility of news reports and news sources, developed by the Center for News Literacy at Stonybrook University. Checkology is the virtual classroom component of the News Literacy Project, a K-12 news education initiative that started in New York City. It is free this spring for educators. Starting in Fall 2017, there will be a limited free channel and a paid premium channel. A teaching project in which college students fact-check the news like a "student powered Snopes." 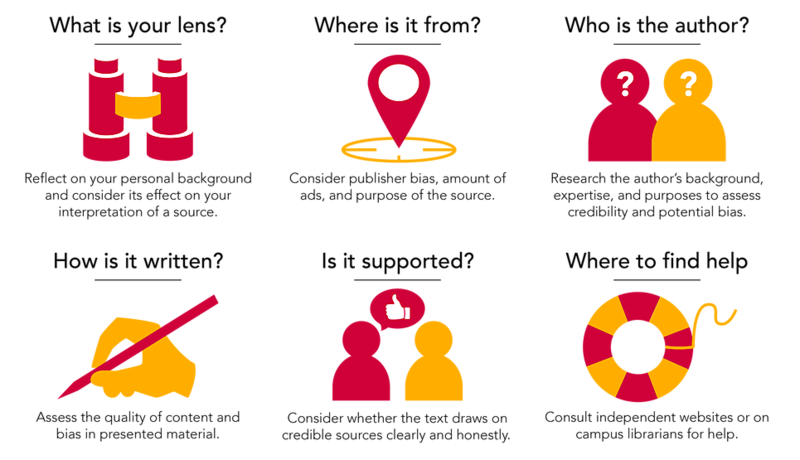 It can be incorporated into any college-level course with a focus on news literacy. The News Literacy Project is a collaboration between journalists and educators to create K-12 curricula for news literacy. Free online annotation tool: good platform for analyzing authority, credibility, source quality, and biases. Facebook is partnering with Poynter.org, the News Literacy Project, and First Draft News to improve news literacy & quality in Facebook. An invitation to technologists to build artificial intelligence (AI) tools to help combat fake news. Nonprofit site focused on teaching journalists how to verify content, especially photo and video content. Analyze a twitter account for frequency, types of posts, post content, and post timing. Is it a human or a bot? Humans tend to sleep. Hoaxy is a data visualization tool developed by information researchers at Indiana University at Bloomington. Track the spread of hoaxes via twitter in real time! Eli Pariser, author of The Filter Bubble, started this ongoing collaborative brainstorm about software, database, and workflow solutions for internet misinformation. The Trust Project is designing a process for badging trustworthy news sites, based on criteria developed by consulting news consumers and journalists. A project of the computer science department at Wellesley College, Twitter Trails tracks networks of rumors on Twitter. The research has resulted in several influential academic articles. << Previous: Bias: Who is Vetting This?